Saving money with coupons is easy. So easy, that it is widely accepted as a way to quickly cut some money out of your budget when you need a quick cut back. Coupons and curbed grocery shopping is the number one tip on many lists of ways to save money immediately. Few people see the long term use of coupons and grocery smarts as the way to long term savings success. Long term coupon shopping can effect the way you shop for everything. As you gather your coupons weekly, look at the sales and start to become aware of price cycles you will find that your impulse buying is naturally curbed. You no longer NEED to buy groceries today, because you have several things on hand to cover your meals for the next few days. You do not NEED to pay full price on coffee or your favorite soft drink because you already have one on the shelf that you saved money on when you bought it. You do not NEED to pick up snacks or convenience food because it's something you are always on the lookout for and you recognize a good price and an advertised price. WANT still exists. Sometimes I want to prepare a food I'm craving, and I WANT it now! Usually I have most of the ingredients and only need a couple thing. One or two items of WANT per week is not going to blow your weekly or annual budget. The other 90 to 120 items you buy are all either coupon steals, or sale deals. So you are saving money on each and every one of those items. The WANT will only add a couple dollars to your cart total. It's the long term curbing of the NEED's that will yield the highest savings. In my home, I keep the grocery budget. Anytime I am way under on that budget I find lots of ways to spend my surplus on my kid, or family. Many times, I save that grocery surplus for trips. I keep a little passbook savings account at a local bank to put deposits. This gives me a chance to really see the savings. Once, we went to Disney on 18 months of coupon savings. We didn't hold back on that trip! Most recently, I took our grocery savings from last spring and we travelled to Niagara Falls. Travel is my thing. I love vacations and seeing new places. I allow my NEEDs and WANTs to pay for my travels. new computer, I just picked it out, plopped it on a credit card and bought it. Now I wait. I look for a sale of the exact item I want. 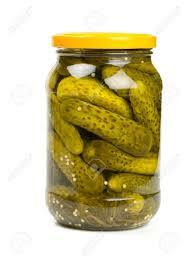 I don't get temped to buy a box of cereal, when I really want a jar of pickles. I'm more discriminating as a buyer. I look for long term use of products and value more than immediate gratification. For example, I buy clothes that are wearable in multiple seasons, and skip that winter coat that only looks good a couple times per year. This comes from my experience of buying shelf stable goods that are used in multiple recipes, and skipping the sauce or flavoring that is only good in one recipe. Of course, I look for sales on household items more now. There was a time when decorating the house was driven by the latest home trend. Now I decide exactly the look I want, and realize that sales cycles do repeat. Just like at County Market, I will see my favorites on sale sometime within a four month window. Patience will reward me with huge discounts. Why buy that cool lamp today when I can save 50% on it if I just wait a few weeks? Then there's always that question of do I NEED a new lamp or WANT a new lamp? Saving money this week, or this month is fast. You can see the savings very quickly, but they are not huge dollars. It's when you add up the weeks, and months to see that over all in one average year you can save up to $2000 for your family with little effort. It really shifts the way you will shop for everything.